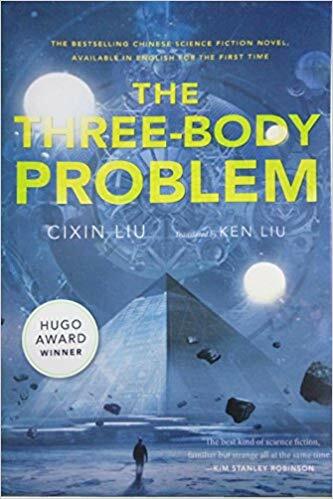 The Hugo Award, also known as the Science Fiction Achievement Award, are voted on by members of the World Science Fiction Convention (“Worldcon”), for work that appeared in the previous calendar year. 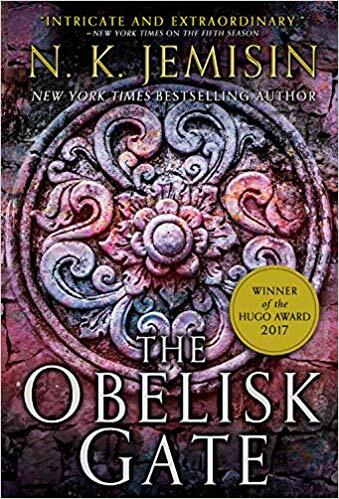 The third book in an award-winning trilogy, along with The Obelisk Gate and The Fifth Season. 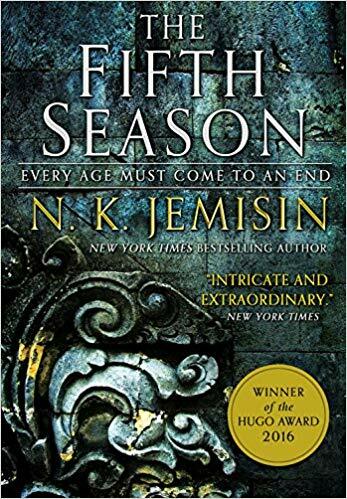 The second book in an award-winning trilogy, along with The Fifth Season and The Stone Sky. 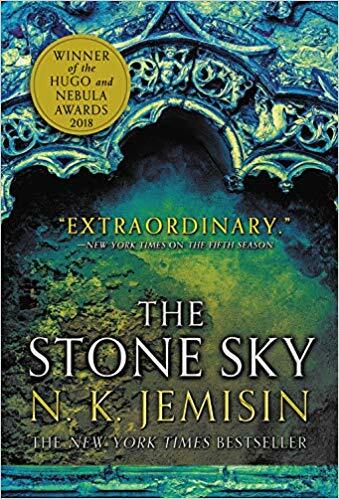 The first book in an award-winning trilogy, along with The Obelisk Gate and The Stone Sky. Set against the backdrop of China's Cultural Revolution, a secret military project sends signals into space to establish contact with aliens. An alien civilization on the brink of destruction captures the signal and plans to invade Earth. Meanwhile, on Earth, different camps start forming, planning to either welcome the superior beings and help them take over a world seen as corrupt, or to fight against the invasion. On a remote, icy planet, the soldier known as Breq is drawing closer to completing her quest. On a remote, icy planet, the soldier known as Breq is drawing closer to completing her quest. Once, she was the Justice of Toren - a colossal starship with an artificial intelligence linking thousands of soldiers in the service of the Radch, the empire that conquered the galaxy. Now, an act of treachery has ripped it all away. Raised by a half-mad mother who dabbled in magic, Morwenna Phelps found refuge in two worlds. As a child growing up in Wales, she played among the spirits who made their homes in industrial ruins. But her mind found freedom and promise in the science fiction novels that were her closest companions. Then her mother tried to bend the spirits to dark ends, and Mori was forced to confront her in a magical battle. In Blackout, three Oxford historians travel back in time to World War II England. But when the three become unexpectedly trapped in 1940, they struggle not only to find their way home but to survive as Hitler’s bombers attempt to pummel London into submission. In All Clear, the situation has grown even more dire. Small discrepancies in the historical record seem to indicate that one or all of them have somehow affected the past, changing the outcome of the war. Anderson Lake is a company man, AgriGen's Calorie Man in Thailand. Under cover as a factory manager, Anderson combs Bangkok's street markets in search of foodstuffs thought to be extinct, hoping to reap the bounty of history's lost calories. There, he encounters Emiko, the Windup Girl, a strange and beautiful creature. One of the New People, Emiko is not human; instead, she is an engineered being. When a murdered woman is found in the city of Beszel, somewhere at the edge of Europe, it looks to be a routine case for Inspector Tyador Borlú of the Extreme Crime Squad. To investigate, Borlú must travel from the decaying Beszel to its equal, rival, and intimate neighbor, the vibrant city of Ul Qoma. As the detectives uncover the dead woman’s secrets, they begin to suspect a truth that could cost them more than their lives. Homicide detective Meyer Landsman of the District Police has enough problems without worrying about the upcoming Reversion. His life is a shambles, his marriage a wreck, his career a disaster. And in the cheap hotel where Landsman has washed up, someone has just committed a murder—right under his nose. Robert Gu is a recovering Alzheimer's patient. The world that he remembers was much as we know it today. Now, as he regains his faculties through a cure developed during the years of his near-fatal decline, he discovers that the world has changed and so has his place in it. One night in October when he was ten years old, Tyler Dupree stood in his back yard and watched the stars go out. He and his best friends, Jason and Diane Lawton, had seen what became known as the Big Blackout. It would shape their lives. The sun is now a featureless disk--a heat source, rather than an astronomical object. The moon is gone, but tides remain. Not only have the world's artificial satellites fallen out of orbit, their recovered remains are pitted and aged, as though they'd been in space far longer than their known lifespans. A space probe reveals a bizarre truth: The barrier is artificial, generated by huge alien artifacts. Time is passing faster outside the barrier than inside--more than a hundred million years per day on Earth. At this rate, the death throes of the sun are only about forty years in our future. Jason, now a promising young scientist, devotes his life to working against this slow-moving apocalypse. It's 1808 and that Corsican upstart Napoleon is battering the English army and navy. Enter Mr. Norrell, a fusty but ambitious scholar from the Yorkshire countryside and the first practical magician in hundreds of years. What better way to demonstrate his revival of British magic than to change the course of the Napoleonic wars? Mr. Norrell moves to London to establish his influence in government circles, devising such powerful illusions as an 11-day blockade of French ports by English ships fabricated from rainwater. But however skillful his magic, his vanity provides an Achilles heel, and the differing ambitions of his more glamorous apprentice, Jonathan Strange, threaten to topple all that Mr. Norrell has achieved. The first book of The Neanderthal Parallax, a trilogy that will examine two unique species of people. They are alien to each other, yet bound together by the never-ending quest for knowledge and, beneath their differences, a common humanity. We are one of those species, the other is the Neanderthals of a parallel world where they, not Homo sapiens, became the dominant intelligence. In that world, Neanderthal civilization has reached heights of culture and science comparable to our own, but is very different in history, society, and philosophy. During a risky experiment deep in a mine in Canada, Ponter Boddit, a Neanderthal physicist, accidentally pierces the barrier between worlds and is transferred to our universe, where in the same mine another experiment is taking place. Contact between humans and Neanderthals creates a relationship fraught with conflict, philosophical challenge, and threat to the existence of one species or the other-or both-but equally rich in boundless possibilities. American Gods is Neil Gaiman's best and most ambitious novel yet, a scary, strange, and hallucinogenic road-trip story wrapped around a deep examination of the American spirit. Shadow gets out of prison early when his wife is killed in a car crash. At a loss, he takes up with a mysterious character called Wednesday, who is much more than he appears. In fact, Wednesday is an old god, once known as Odin the All-father, who is roaming America rounding up his forgotten fellows in preparation for an epic battle against the upstart deities of the Internet, credit cards, television, and all that is wired. Shadow agrees to help Wednesday, and they whirl through a psycho-spiritual storm that becomes all too real in its manifestations. This is a prequel to Vernor Vinge's 1993 Hugo Award-winning novel A Fire Upon the Deep. It takes place in the same Zones of Thought universe as Fire, but some 30,000 years earlier. In this era, humanity has colonized the stars, but the light-speed barrier has effectively isolated the various planetary systems from one another. Worse still, most civilizations reach a technological plateau and then fall back into barbarism, a vicious cycle that a man named Pham Nuwen would like to break. From Connie Willis, winner of multiple Hugo and Nebula Awards, comes a comedic romp through an unpredictable world of mystery, love, and time travel... Ned Henry is badly in need of a rest. He's been shuttling between the 21st century and the 1940s searching for a project to restore the famed Coventry Cathedral, destroyed in a Nazi air raid over a hundred years earlier. But then a fellow time traveler inadvertently brings back something from the past. Now Ned must jump back to the Victorian era -- not only to save the project but to prevent altering history itself. Here is Joe Haldeman's triumphant return to the thoughtful science fiction that made his The Forever War a multiple award-winner. In the year 2043, the Ngumi War has raged for eight years. Julian Class is a "soldier boy, " and for him war is indeed hell. For Julian it might be worth dying just to stop living. But he and his lover have made a terrifying scientific discovery that could literally put the Universe back to square one. For Julian the discovery is tempting. The final volume of a trilogy that began with Red Mars and continued with Green Mars, Blue Mars completes the story of the "First Hundred," a pioneering group of explorers who have overseen a terraforming project that has transformed Mars from a lifeless planet into a world habitable by humans. An anti-aging breakthrough has kept the First Hundred alive for three centuries and in that time, their motives, desires, and passions have evolved in ways that parallel the changes on Mars itself. Conceptually complex and daring, the publication of Blue Mars marks the completion of a modern science fiction masterpiece. Decades into the future, near the ancient city of Shanghai, a brilliant nanotechnologist named John Percival Hackworth has broken the rigorous moral code of his tribe, the powerful neo-Victorians, by making an illicit copy of a state-of-the-art interactive device called "A Young Lady's Illustrated Primer." Miles Vorkosigan faces more than his share of troubles as the protagonist in Mirror Dance. Not only is he deformed and undersized but he has a cloned brother who gets into a jam in the free enterprise plague spot known as Jackson's Whole. Miles tries to help his brother but ends up injured, placed on cryogenic suspension and then lost in intergalactic limbo. And that's just in the first 100 pages. The following 300 pages add a wealth more to this fantastic tale that's both humorous and finely written. Mirror Dance won the 1995 Hugo Award for Science Fiction. Kim Stanley Robinson has earned a reputation as the master of Mars fiction, writing books that are scientific, sociological and, best yet, fantastic. Green Mars continues the story of humans settling the planet in a process called "terraforming." In Red Mars, the initial work in the trilogy, the first 100 scientists chosen to explore the planet disintegrated in disagreement--in part because of pressures from forces on Earth. Some of the scientists formed a loose network underground. Green Mars follows the development of the underground and the problems endemic to forming a new society.